Venita Ellick may well have been fated to be a writer. As a young girl she enjoyed telling adventure stories and spent so much time at her local library that staff put aside books especially for her. 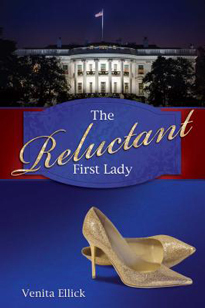 Ellick's first published book The Reluctant First Lady (2013) is the story of Ashley Taylor, the wife of the president-elect of the United States. Ashley has no intention of assuming the traditional role of First Lady and decides to pursue a career of her own. The fall-out from her decision, in both her private and public life, is momentous. At the heart of the question is how much a woman should sacrifice for the person she loves. For more information on this author go to www.venitaellick.com.